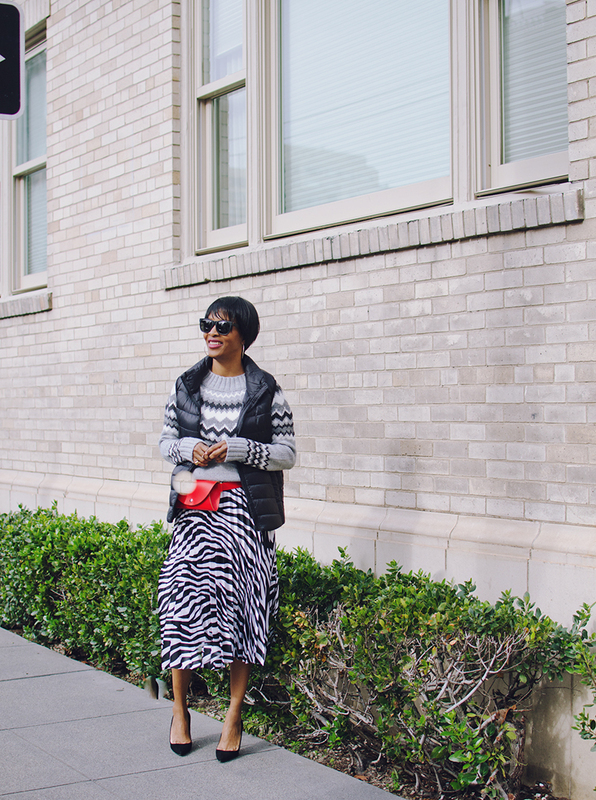 february chill / mixing prints. after a few weeks of glorious 70 degree weather, the chill is back so that means pulling out some layers. i’ve had this uniqlo vest for a long time and it’s something i get a lot of wear out of pretty much any where i travel. it comes with a little pouch, so it’s easy to throw into any bag. 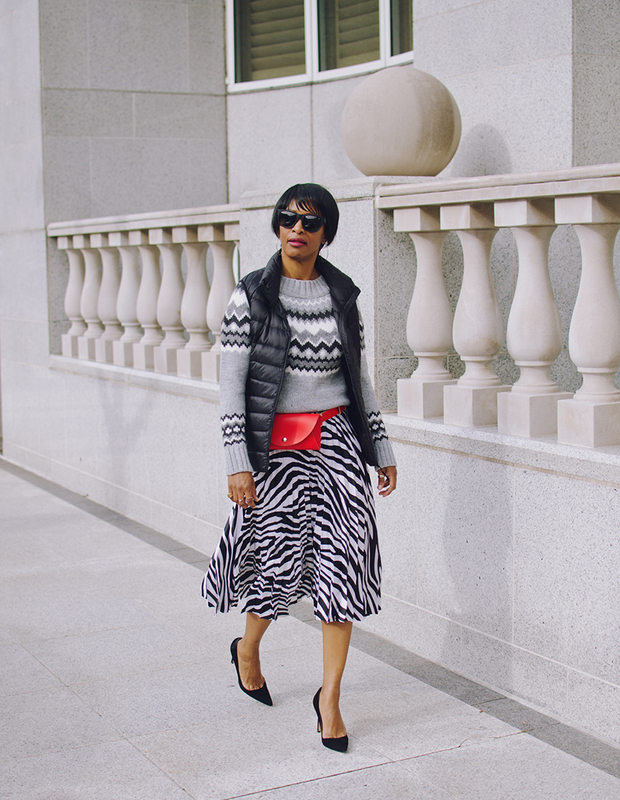 it’s also a great piece to add some warmth to a more classic work look of a sweater and pleated skirt. 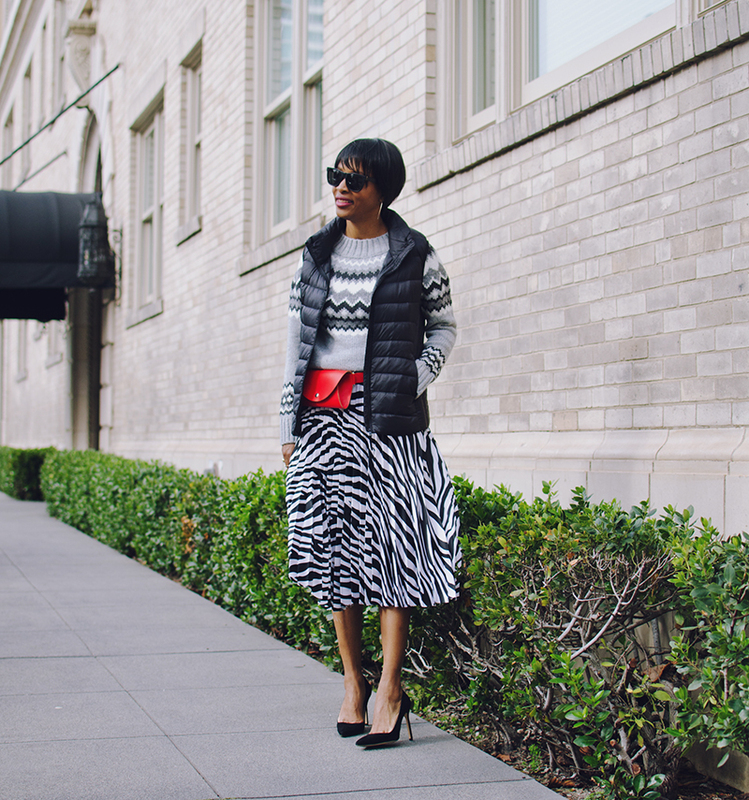 i had some fun with this one, pairing a gray fair isle sweater with a zebra midi pleated skirt. 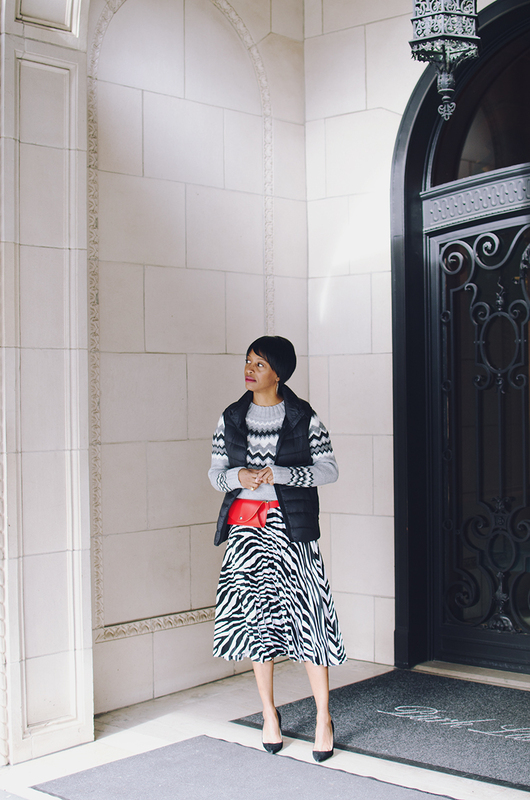 my other favorite part of this look is the pop of red, but not in the traditional place like shoes or a bag. this belt bag by cos is so fun and not fussy. you may have seen me wear it more dressed down here but it also makes a great finishing touch to a work look. at $70 and made of real leather, it’s an affordable way to try out the trend. 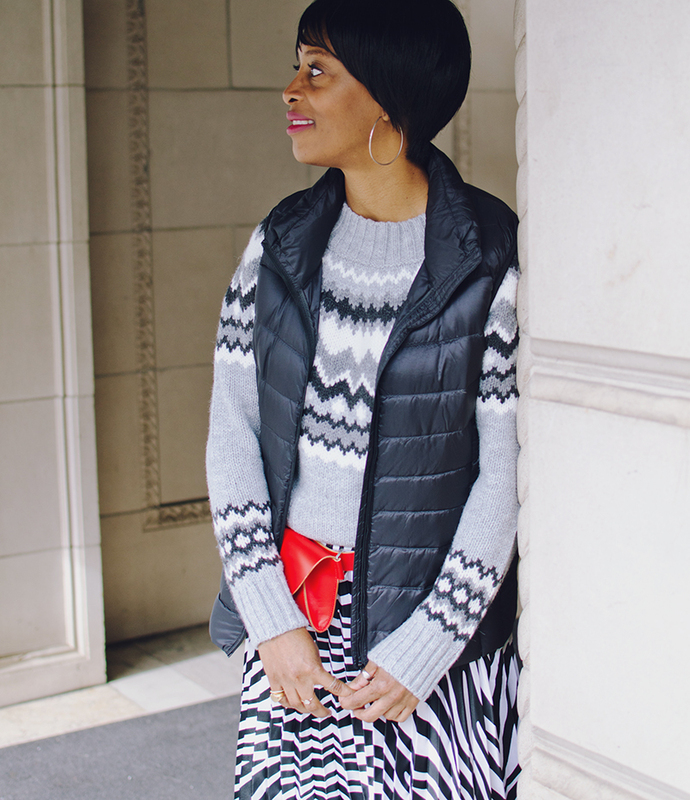 Next Post currently coveting: in between dressing.